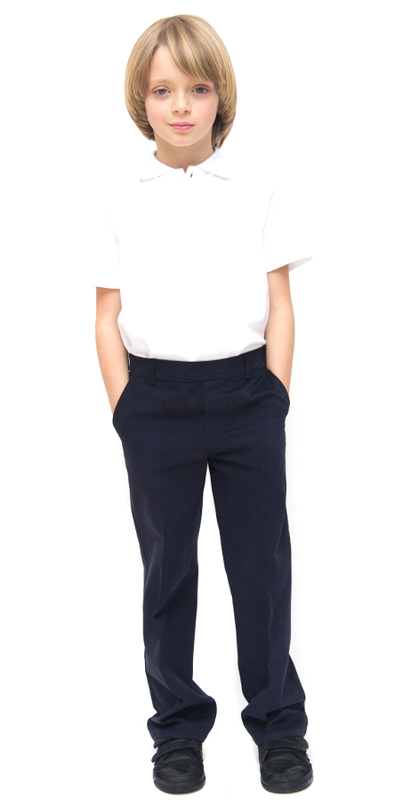 These traditional boy’s school trousers are tailored and include belt loops, 2 front side pockets and an adjustable concealed elastic waist for fast growing children. 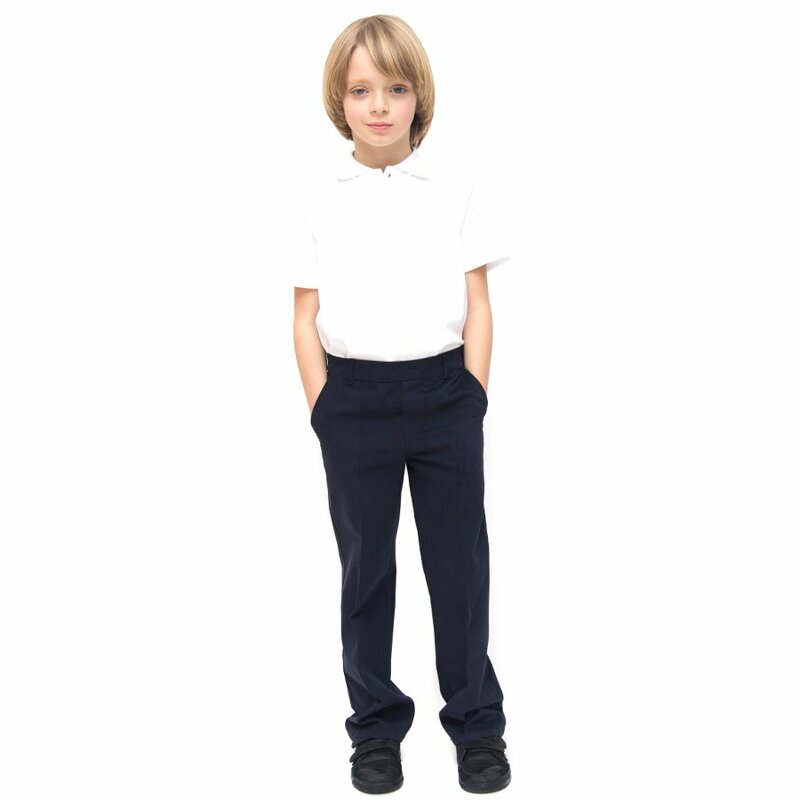 They are a regular fit and are made from 100% pure organic cotton that is certified by the Global Organic Textile Standards. Wash at 30C before first use. 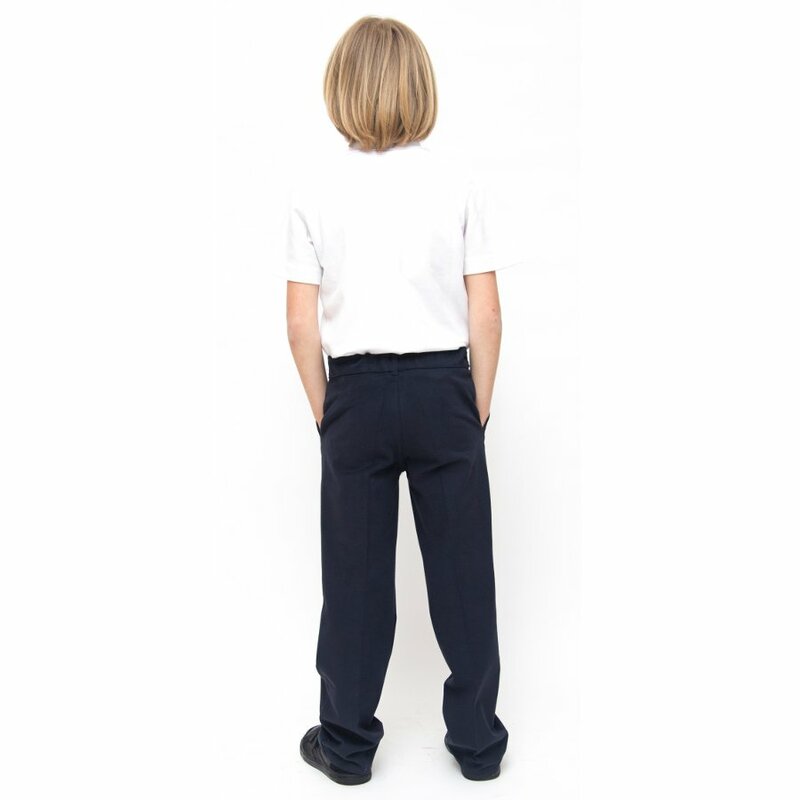 They will shrink by up to 5% after the 1st wash as no chemicals have been added to the fabric to avoid this. 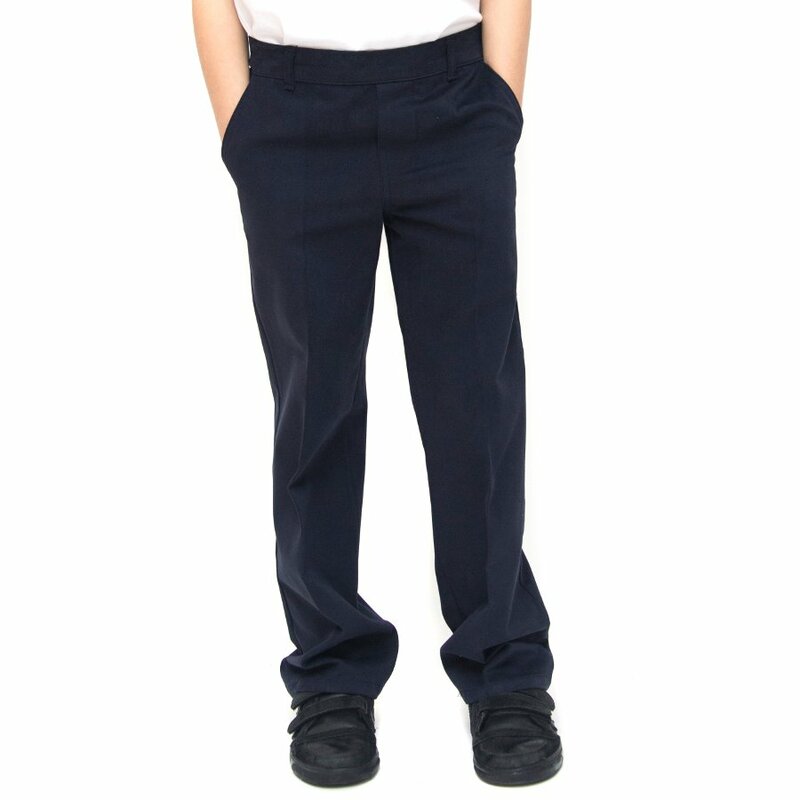 The trousers are cut more liberally so they will have shrunk down to the marked size. For best results when ironing, iron whilst garment is slightly damp and resting a cloth over your garment whilst ironing will help to reduce sheen. 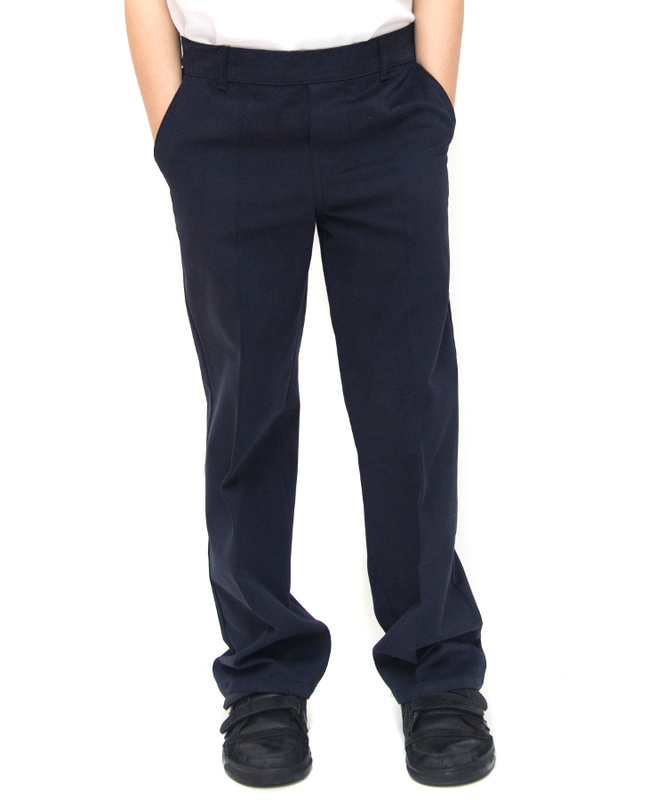 There are currently no questions to display about Boys Classic Fit School Trousers With Adjustable Waist - Navy - Infant.